Given the staggering number of technology innovations that have been introduced recently, it is difficult to say which one claims the top spot as the most disruptive. Smartphones completely changed the perception of where computing could take place. Cloud systems created a new mindset around how computing could be utilized. Artificial intelligence is expanding the definition of what computing is capable of. But it may be that Internet of Things is more disruptive than any of these, as it reinvents what computing even is. One of the most popular approaches for describing the extent of IoT’s impact has been connected devices. The numbers are eye-popping but not always consistent; early projections by Cisco showed 50 billion connected devices by 2020, while early projections by Gartner only showed 24 billion connected devices in the same timeframe. As with any projections, the numbers are in a constant state of flux, and they likely miss the point anyway. At some point, there are simply enough connected devices to force new behavior. Furthermore, each organization will build its own behavior as it drives a strategy around devices and data. Projections for revenue are just as varied as projections for connected devices, but they still provide an additional lens for viewing the impact of IoT. 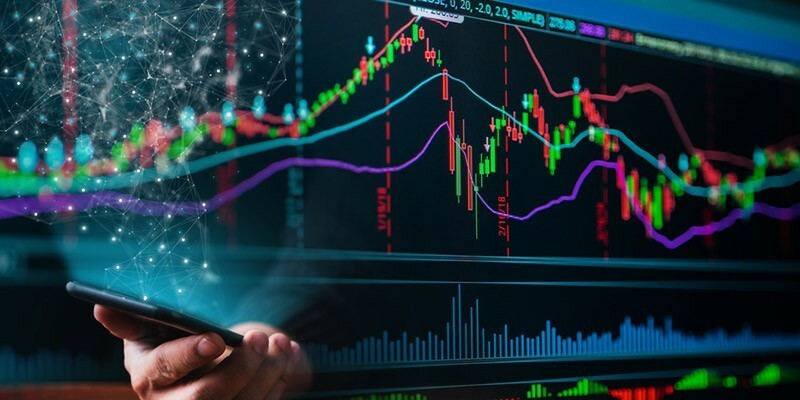 The research firm Bain & Company predicts that global IoT spending will reach $520 billion in 2021, and IDC estimates global IoT spending to hit $1.2 trillion by 2022. For context, IDC reported that overall IT spending worldwide in 2018 was $4.5 trillion. IoT-specific spending is not likely to be a quarter of all IT spending, so IDC’s IoT number includes items needed for IoT that typically fall into other categories, such as networking equipment or database software. This range, though, is a good representation of the far-reaching nature of IoT. Rather than being an isolated product that is installed alongside other IT components, IoT is a strategy that relies on many parts of the IT infrastructure. In fact, most companies see a strong or moderate connection between IoT strategies and other technology initiatives within the organization, especially cloud computing, mobile devices, and artificial intelligence. The overall perception of IoT is positive and has mostly held steady over the past few years. There are a few notable shifts. 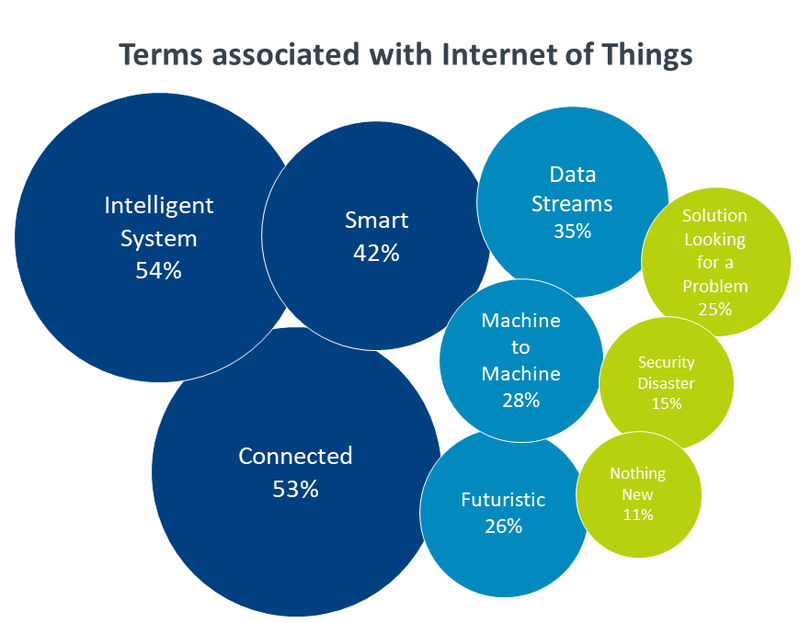 In 2016, just 40% of IT and business professionals associated the term “intelligent system” with IoT. Today, 54% of IT and business professionals make this association, placing it at the top of the list. It’s encouraging to see a trend towards this term rather than the simpler “smart.” Certainly the term rather than the simpler “smart.” Certainly the implication of computing capability and decision making is still there, but “intelligent system” also includes the notion of many connected pieces working in concert. On the other end of the spectrum, there has been a drop in the number of people who perceive IoT as nothing new, as merely an extension of the internet. Those that have been paying close attention to the IoT space recognize the immense potential in bringing some of the connected concepts of the internet to physical objects that have previously had no computing capability. There are clearly some risks to be considered in such an expanded concept, but the potential to be gained from analyzing new data streams and automating environments is something every business should be pursuing. The post Internet of Things Market Overview appeared first on IoT Business News.